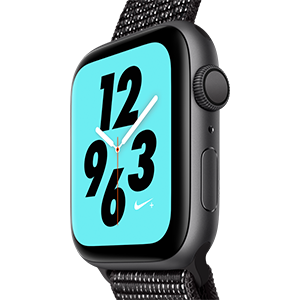 How can I Pre-Order my Apple watch series 4 (GPS/GPS + Cellular) on Jio.com? 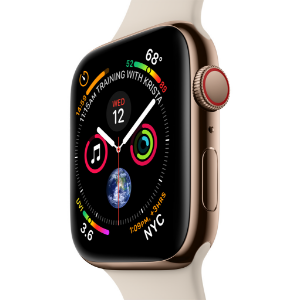 Till when can I place the Pre-Order request for Apple watch series 4 (GPS/GPS + Cellular)? Is there any quantity limit for Pre-Order of Apple watch series 4 (GPS/GPS + Cellular)? Can I cancel Pre-Order of Apple watch series 4 (GPS/GPS + Cellular) after placing an order? Yes, Pre-Order can be cancelled at any point before it is shipped. To cancel your Pre- order, you can call us on our toll free E-commerce helpline number 1800 893 3399. Pre-order can be done only with online payment. Cash On Delivery option is not available under pre-order process. When will the Apple watch series 4 (GPS/GPS + Cellular) get shipped? Pre-Orders will be dispatched on priority and shipped post launch of the product. However, shipping time may vary from location to location. Will I be informed when my Apple watch series 4 (GPS/GPS + Cellular) is shipped? Yes, you will be notified via email/SMS when your Apple watch series 4 (GPS/GPS + Cellular) is shipped. 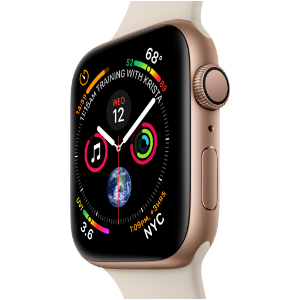 When is Apple watch series 4 (GPS/GPS + Cellular) getting launched? Wireless service plan required for cellular service. Apple Watch and iPhone service provider must be the same. Not available with all service providers. Not all service providers support enterprise accounts or prepaid plans; check with your employer and service provider. Some legacy plans may not be compatible. Roaming is not available. Contact your service provider for more details. Check www.apple.com/watch/cellular/ for participating wireless carriers and eligibility. Incorrect OTP. Please enter a valid OTP.